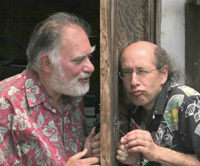 As some of you know, 15 years ago, Roshi Bernie Glassman, Zen master, started studying clown with me. Up to that point, all my students were performers. Bernie’s intent was not to become a clown, rather he wished to use “tools of tricksterdom and humor” to address out of balance situations in his Zen world. As a result, my approach to teaching shifted, and has continued to change ever since. The focus shifted from being clown to clowning. Suddenly my teaching perspective expanded from appying humor to performance to applying humor to life in general, to most any given situation. Indeed, what became clear over time, was that most everyone could develop their capacities to offer and share humor. 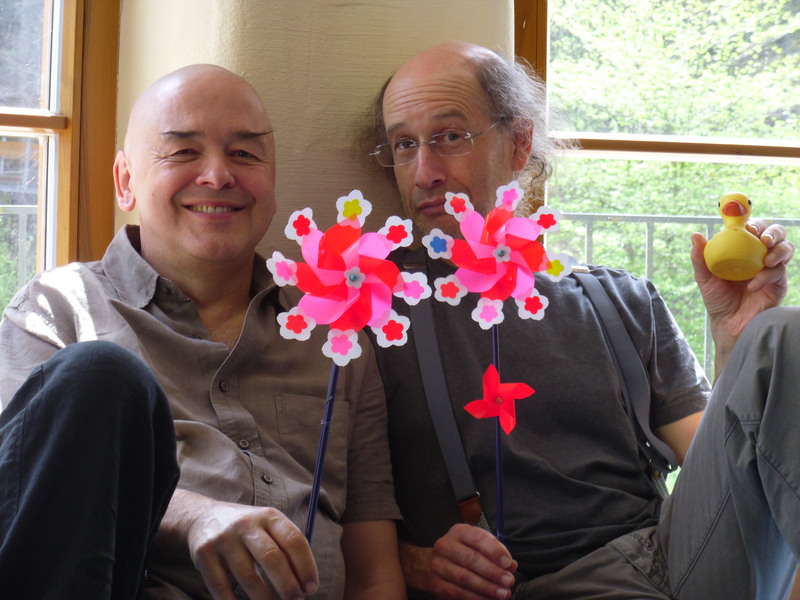 After a number of years, Bernie and I started teaching “Clowning your Zen” workshops together, with Bernie integrating Zen wisdom with my clowning exercises. Along with many teachers from Bernie’s lineage, people from all walks of life came to participate. The results were dynamic. 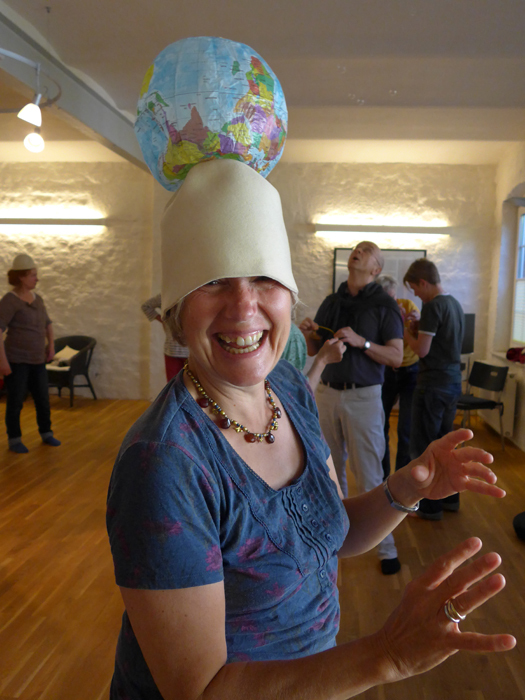 Several years later, wishing to bring a sitting meditation practice into the mix, I began collaborating with Zen Master Heinz-Jürgen Metzger on a summer workshop at the Nell Breuning Haus in Herzogenrath, with alternating meditation and clowning sessions. 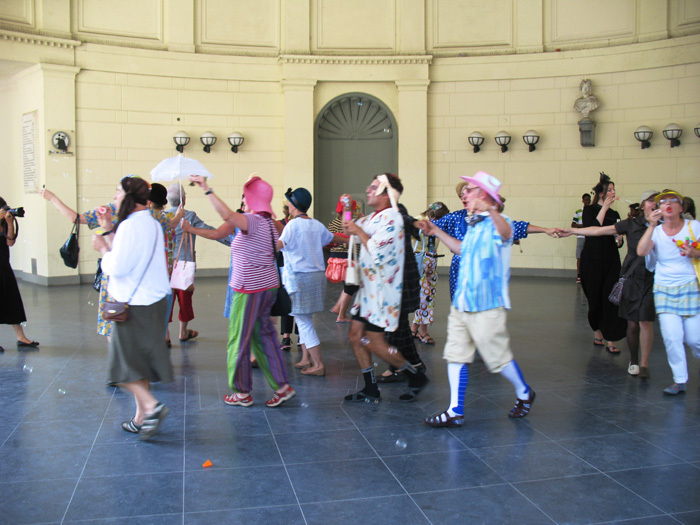 We also took people out on the street to experience clowning in action. As you probably know, meditation gets in the way of our thinking…whoops, I meant to say thinking gets in the way of meditation….let me try that one more time: meditation allows us to quiet the mind, to tell the thinking mind to take a holiday. Given enough time, enough practice, as Monsieur et Madame Think take a vacation, a sense of stillness evolves. Evoking this sense of stillness in one’s clown world is actually quite alive, and freeing. When one is a humorous state of being with thoughts at a standstill, spontaneity arises, easily, effortlessly, one is already in the flow. Moshe Cohen works and creates in the world of the funny. For 35 years now, he has pursued excellence in the elusive art form called Clown, seeking to bring more lightness and laughter into the world through his actions, be it as a teacher, a performer or actor. Learn more on his website. am going to book mark your website and keep checking for new details about once per week.